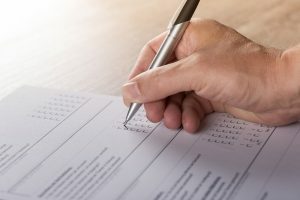 Fewer than one in five companies give compliance staff substantive roles in handling major mergers, and more than half have unresolved compliance problems that regulators have yet to discover, according to a survey of 537 companies with annual U.K. revenue of at least £1 billion ($1.4 billion). Compliance experts say those findings from law firm Baker McKenzie both point to high levels of concern among executives and suggest ways companies can do better. “It is a surprise to me that the corporate folks would even give out this much information to a survey taker,” said Joseph Murphy, author of the book “501 Ideas for Your Compliance and Ethics Program,” of the finding about undisclosed compliance problems. “Why would any corporate person say to an outsider ‘my company is breaking the rules?’ It suggests a very high level of anxiety and frustration for them to express this degree of concern.” Jo Ludlam, co-chair of Baker McKenzie’s global compliance and investigations group, agreed in an interview the finding on disclosure was a surprise, although she noted there are legitimate reasons not to report a compliance problem, such as when a situation doesn’t clearly represent a violation of the law. Read the entire article in The Morning Risk Report in The Wall Street Journal.